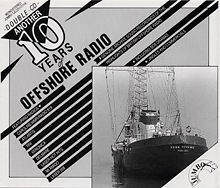 Highlights of all the historical and magic moments during the mid seventies to mid eighties featuring Radio Caroline, Radio Mi Amigo, Laser 558 etc., Contains historic recordings, Jingles and Promos. Last few copies of the vinyl version available. While stocks last.